From the four-axle locomotives BR 111, a total of 227 vehicles were build between 1974 and 1984. The 160 km / h fast locomotives are now mainly operating in the regional and local traffic. 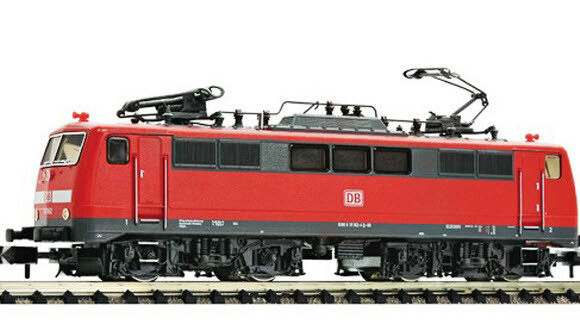 Electric locomotive BR 111 of the Deutsche Bahn AG. Epoch VI. Motor with flywheel. Digital interface according to NEM 651 standards. Drive on all 8 wheels. Two wheels have traction tyres. Triple headlights on each side of the locomotive that change over with the direction of travel. Automatic coupling on each side of the locomotive.